Christmas is a very special holiday not only in Germany but all over the world. It’s such a special time of year and the magic atmosphere of December and the holiday season gets to everyone. 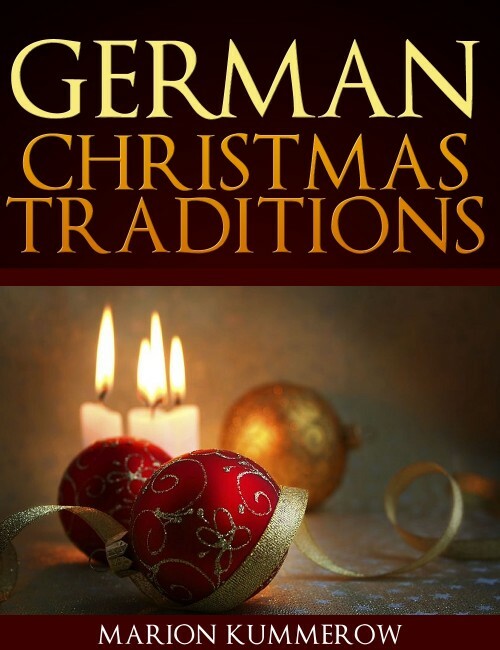 This book will take you on a journey through many German Christmas traditions filled with happy childhood memories. Learn about longstanding traditions and customs like decorating your home, baking cookies (Weihnachtsplätzchen) and visiting the Christmas markets from someone who was born and raised in Germany. How do German children celebrate St. Nicholas Day? Who brings the Christmas gifts and when? 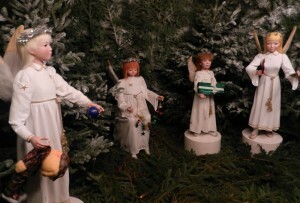 What are the favorite Christmas ornaments and decorations in Germany? These and many more questions will be answered in a very personal way. The author even included three of her favorite Christmas cookie recipes for you to bake. Christmas is a very special holiday not only in Germany but all over the world. 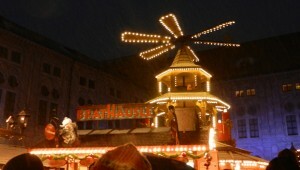 We Germans value traditions very much, and Christmas reminds us of our childhood. It’s such a special time of year. Longstanding traditions and customs like decorating your home, baking cookies (Weihnachtsplätzchen) and visiting the Christmas markets with your friends are some of my favorite Christmas traditions. Whether you’re an active Christian or not, the magic atmosphere of December and the holiday season gets to everyone. This is the time when the days become shorter, darkness sets in by late afternoon and days get colder; it may even start snowing, just in time for Christmas. For us Germans a white Christmas with snowflakes falling is still the epitome of a perfect holiday. Every year, we anxiously await the first snow in December and hope for it to last at least until the day after Christmas. Even though we cannot influence the weather, there are lots of other things we can do to make the holiday season the most joyous time of the year. Please read on as I take you on a journey through many German Christmas traditions filled with happy memories from my childhood. Officially, the holiday starts with the first Advent, even though nowadays, you can buy Christmas decorations and cookies much earlier, as early as the beginning of October. Advent (derived form the Latin word adventus, which means arrival) is the time for preparing for the arrival of Jesus. It starts with the fourth Sunday before Christmas Eve, usually at the end of November or beginning of December. These are the dates for the next four first Advent Sundays. In the Christian tradition this is the time to slow down your busy lives and prepare mentally and spiritually for the arrival of Jesus Christ. Nowadays, the religious meaning has moved to the background, and Advent is mainly the time for gift shopping and lots of Christmas parties. It’s a nice custom that companies reward their employees for a year of faithful service with a dinner or similar activity in December. Families and friends have get-togethers, and about every club or community uses December to close-down the year with some kind of festivity. The Saturdays in December (Adventssamstag) are the days when everyone flocks to the big shopping areas in any major German city to take in the Christmas atmosphere, visit the Christmas markets and do their gift shopping. You will literally join thousands of co-shoppers and crowd the stores. As a side note, one of my friends who works in a soap shop, told me that almost 90 percent of the year’s sales are made in December. Now you get the idea about how crowded it is. But this shouldn’t alienate you. Even though almost everyone complains (including me), we still dive into the crowds and seem to enjoy it after all. 🙂 I will get to the famous German Christmas markets in a later chapter; for now let’s talk about two of my favorite Advent traditions.